As the Church of England funeral marks the ending of the human life, it is the chance for friends and family to express their condolence and share the memories of their life on earth. A funeral service in the Church of England is often a short and quiet occasion or a full celebration of the Holy Communion. 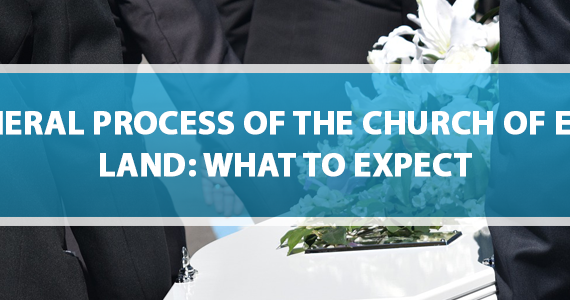 Here’s what to expect during the funeral in the Church of England. During the arrival, the coffin will be carried by the pallbearers, who are normally the friends and family of the loved one. Depending on where the funeral takes place, the choice of music will be played as the coffin is gently being carried in. You have the option to choose music, or no music at all. The minister will start the ceremony by saying some words of wisdom and hope. The Prayers of Penitence and The Collect is also said, followed by the tributes. Once visitors have gathered, a hymn may be played. There are various songs to choose from as one or more readings from the Bible will be said, followed by the hymns or psalms. The follow the hymns, there will be time to listen and talk about memorable stories of the person. This may include readings and music that might reflect the person’s interest or character. The minister will speak about the promises of God and talk about the hopes that death is not the end, but the beginning of life in heaven. During the moment of reflection, music will be played as silent prayers fill the room. At this point, flowers will be placed in the coffin or a reading may be said. The minister will say a prayer and ask God to keep your loved one safe in his care. During this moment, the minister will finish with a blessing before the mourners leave. As the family and friends bid their farewells, it is up to the family on how they choose to hold the service. The main point is to come together and support one another through the time of condolence.